Do you ever feel like the wind is literally being taken from your sail, leaving you feeling like you do not have enough energy to get through the day? If so, you are not alone and Dr. Oz says the solution could be as simple as taking more of the “energy” vitamin. Dr. Oz says the reason you have no energy could be easier to figure out than you might think. He says you might just need more Vitamin B12 in your diet, so he shared how to figure out if you could be deficient in this essential vitamin. 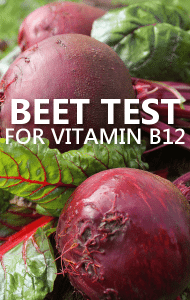 Dr. Oz says Vitamin B12 is important to the body because it provides red blood cells with the oxygen they need in order to give you more energy. Dr. Oz says the best way to get more Vitamin B12 is in your diet, so he shared which foods are best to help you get your energy back. I wish there was a link to the comments here. ugh!